2016 was a year that brought its share of surprises. For us, and much of Europe, it came in the form of Brexit and caused a temporary scare, but already 2017 is shaping up to be a very different kind of year. The period between 2013 and 2016 offered a clear enough picture of economic revival and property sector recovery on the Costa del Sol spurred on by an earlier (and continued) surge in tourism numbers, the stabilisation of the banking sector and the gradual return to growth on a national level. As this trend solidified, what were once ‘toxic assets’ got snapped up by investment funds, most of the previously unsold properties sold out and before long the machinery of the construction industry started moving again. A new generation of foreign buyers was ready to rekindle the love affair with Marbella, but the landscape had changed since the pre-recession years. Suddenly newly built properties featuring the latest architectural styling and technical amenities were very much in demand, leaving the market for resale properties to recover but lag behind, with demand for older properties in prime locations with renovation potential also strong. Nonetheless, keen competition for scarce ready to build land caused prices to rise particularly in Marbella. It seemed that the region was on track for a classic up cycle, yet at the end of 2015 we received the first shock to the system when the 2010 PGOU urban plan was annulled by the Supreme Court in Madrid. The ensuing problems surrounding planning status in some parts of Marbella have since taken a little of the steam out of Marbella growth, but demand for the properties and lifestyle of this region is so solid that the focus merely shifted to Benahavis, Estepona, Mijas and also Ojén – all town halls untethered by planning licence issues and keen to attract investment. The popularity of contemporary villas, apartments and semi-detached villas/townhouses continued, and the excellent returns of early projects combined with rising sales figures have encouraged a growing number of investors and developers to launch new small to medium-sized projects from Manilva in the west to La Cala de Mijas in the east. Some of the many projects currently under way include: Arboleda and The Edge in Estepona, Mirabella Hills and Marbella Club Hills in Benahavis, The Hills in La Quinta and Palo Alto in Ojén and Icon-The Residences in Marbella East. Projects such as Jardinana in La Cala de Mijas and Golf Hills Village in Estepona are selling fast or indeed sold out, which provides international investors with the confidence to focus on developments in our area. Proof of this is investment by international funds such as Round Hill Capital active in the Palo Alto development, while Taylor Wimpey has new projects such as Acqua in Nueva Alcántara, Horizon Golf in Mijas and Botanic in La Reserva de Alcuzcuz. Additionally CTH Capital is involved in the project UNO at el Ancon Beach on Marbella’s Golden Mile which has been a huge success in its pre-reservation phase, and Neinor Homes and Kronos Investment Group both involved in projects in the Marbella, Estepona and Benahavis areas. The banks, meanwhile, are playing their part with greatly improved financing facilities coupled with low interest rates. Combined with the fact that Marbella property prices still represent excellent value for money for buyers from large parts of Europe, the forecast is very positive. Once again, it seemed like the Costa del Sol had overcome the Marbella PGOU hurdle and was gearing up for accelerated growth as it moved towards the mid-range of the cycle. Old markets such as the UK, Ireland and The Netherlands were reviving while ‘new’ ones such as Scandinavia, Belgium, France, the Middle East and Morocco were growing at a healthy rate. Only sales to Russian buyers were not performing well in the wake of the geopolitical situation in the Ukraine, but for the rest all looked well. And then the unexpected happened: the British public voted to leave the European Union by a small margin (51.8%). If you factor in the distinct possibility that more than a few cast a protest vote – never expecting the Leave campaign to actually win – the public mandate obtained is actually quite weak, yet the referendum result holds legally and therefore the British government carries legitimacy as it pushes through the first steps of what should mean secession from the EU by 2019. In our little paradise we feel far removed from the major theatres of politics, yet as the fortunes of the Costa del Sol are closely linked to those of its main markets in Northern Europe, important events there are felt on the ground here. Brexit is a prime example, for though their overall share of sales have dropped, the British remain the largest single market for properties in this region, accounting for roughly 35% in 2016. The market is now highly diversified and no longer dependent upon one single nationality – all the more so as you move up the price ladder – but it cannot be denied that home sales were affected in the second half of the year as many British buyers backed off. Not because they were no longer interested in Marbella property, but because uncertainty makes people want to wait and see how things turn out. The statistics show a decline in sales to British homebuyers last year both in our region and in other parts of Spain. The fact that it was met with a strong increase in sales to Scandinavian, Dutch, Belgian, French, German, Middle Eastern and also Moroccan buyers cancelled out any negative impact on overall sales in 2016, but it also denied the year a chance to rather spectacularly beat the previous record set in 2007. More importantly, the full impact of Brexit on property sales is likely to be felt in 2017, as sales made in one year are often completed and registered during the following one. This means some of those included in last year’s figures actually date to the pre-Brexit market of 2015. It is a good thing that the region now enjoys such a dynamic and diverse market base, and we may well be able to look forward to growth in the domestic and international markets thanks to Spanish economic growth and a more attractive Golden Visa proposition respectively, but the overall strength of demand for what Marbella has to offer will not be enough to cancel out the effect of Brexit in 2017, not perhaps for another year or two. Mark Stücklin (Spanish Property Insight) – “I think we will see a steeper decline in British demand in the figures for Q1 when they come out (between 40% and 50% down, maybe even more), which I suspect will lead to an overall decline in foreign purchases inscribed in the Land Register in 2017”. Evidence suggests this is most likely to be felt in traditional British pockets along the coast and in the lower end of the market in general, with the higher price category less affected as it is more diversified and British buyers in this segment are less likely to be put off by buying outside of the EU umbrella. The low pound to euro exchange rate is the immediate cause of lower sales, but having stabilised for the time being it is expected to gradually recover in the coming years. Though one has to be realistic about the impact of Brexit on the fortunes of the Costa del Sol there is no need for despair. The impact will be felt mostly in the shorter term, and as the British love affair with Marbella is far from over the effect will be relative, not absolute. Demand from other countries continues to grow, and efforts such as the recent town hall envoy to the Moscow International Travel & Tourism Exhibition, at which mayor José Bernal promoted Marbella, reflect the desire to consolidate this growth among existing markets and develop those with further potential. This includes the Russian market, which is showing signs of recovery, and the Moroccan market, but also more distant ones such as China, the USA and Latin America, which act to complement the core European and Middle Eastern client base. As we speak Marbella feels quite buoyant as it prepares itself for another record summer and enjoys an upturn in property sales. Hotels are full, businesses are opening and the dining scene is developing apace, with new Michelin star restaurants turning the centre and Puente Romano’s Plaza Village into a fine-dining cluster of note. Other examples of growth include the opening of the Oasis Business Centre, the announcement of the new W Marbella Resort by investment group Platinum Estates and Marriott International in Las Chapas beach and a Nobu hotel and restaurant at the Puente Romano, with a shortage of commercial premises for rent in top locations becoming noticeable also. What remains for Marbella, therefore, is to continue to upgrade what it offers as a luxury tourism and residential destination. “In 2016 buyers became more cautious with their investments and more aware of the international situation. Brexit affected the number of British buyers investing in Marbella, though other nationalities were still active purchasers, in particular the Norwegians, Belgians and Dutch. 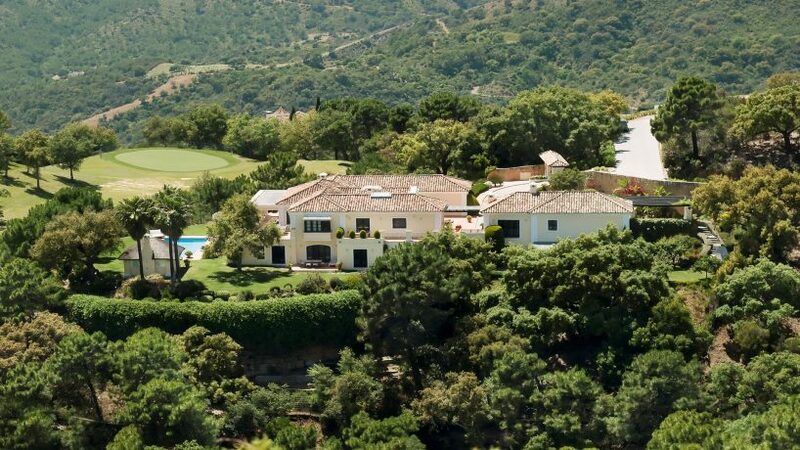 They have contributed greatly to the successful sales of Los Olivos villas in Nueva Andalucía, Icon Signature Villas in Santa Clara to mainly Scandinavian, Belgian and Dutch buyers, and developments such as Taylor Wimpey’s Jade Beach in Nueva Andalucía. This has continued in the new year, where we are also seeing strongly revived British interest. “Adjustments to overpriced properties continue to take place, making the property market a more competitive one. Prices have been mainly stable with buyers submitting offers around 10% below asking price. 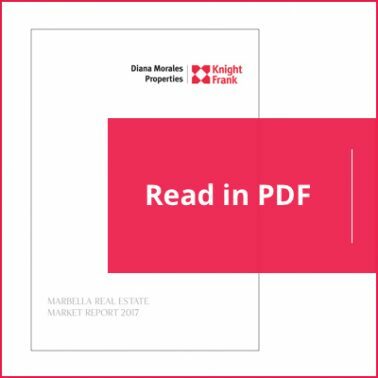 Land available in prime areas of Marbella is practically all gone, although strong interest remains from buyers who are having to look beyond Marbella in Benahavis or Estepona. “The majority of our enquiries continue to come from Scandinavia, with Holland and Belgium also prominent markets. We have also noticed a strong recovery in the Spanish market, a slow revival of Russian buyers, with British enquiries down in 2016 but up again in 2017, and a strong increase in interest among Saudi and Kuwaiti buyers for the Golden Visa scheme. 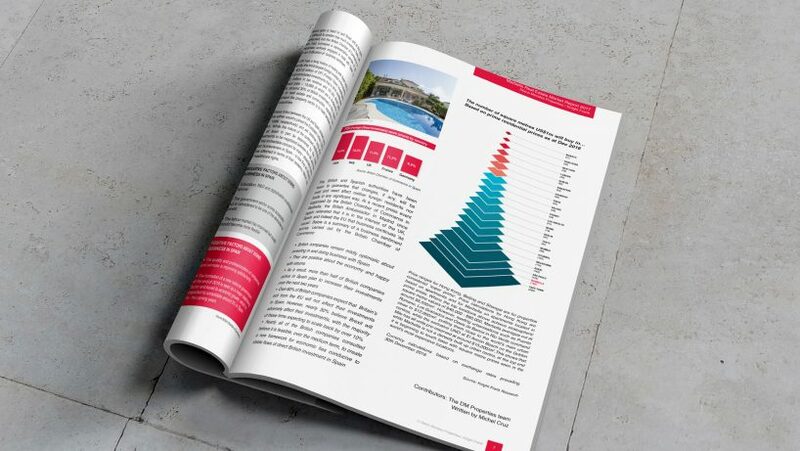 “The greatest demand is for frontline beach apartments on the Golden Mile, especially Puente Romano, in the price range up to €2.5 million, followed by medium-sized villas of up to €3 million in gated communities within the greater Golden Mile (Cascada de Camojan, Sierra Blanca) and Nueva Andalucía. Clients want to be close to Marbella town and Puerto Banús, but beachside alternatives such as Guadalmina Baja and San Pedro Alcántara are also increasingly popular. “Overall, modern style properties remain most in demand, above all modern villas of around 250m2-450m2 built (€800,000 – €2 million) with attractive design features and stylish modern apartments of 100-150m2 (especially up to €600,000) Penthouses remain evergreen, but we’ve noticed a recent surge in the popularity of ground floor ‘garden’ apartments. Additionally, on-site concierge services are a plus and a south or southwest orientation with sea views is pretty much a must. “Hot up-and-coming areas include the beachside area extending west of Marbella to Estepona and Benahavis areas such as Nueva Atalaya and La Alquería. In these areas there is also a strong growth in requests for plots where people can build contemporary villas. The modern design and interior trend was driven above all by Scandinavian buyers. There are, however, still many buyers who look for good resale properties as they don’t want to wait a year or more before their home is constructed and ready to move into. 2017 is the year Article 50 is enacted and the process of negotiation and eventual secession from the European Union will begin to take shape. A lot will depend upon a ‘hard’ or ‘soft’ Brexit, and at this point it is difficult to predict how much investment flows will be affected, but the British Chamber of Commerce in Spain has surveyed a representative sample of 62 companies actively engaged in trade with Spain to gain an indication of business sentiment. The UK has a long history of trading with Spain and is currently the third largest foreign investor in the country, with €37.6 billion of FDI (Foreign Direct Investment) and accumulated investments that in 2016 contributed €6.1 billion in tax revenue and 161,353 direct and indirect jobs – 13,868 of which are in Andalucía. In 2016, around 35% of British investment in this region was in real estate and construction, signalling how important the property sector is to trade between the two countries. Business links between the UK and Spain existed long before either country joined the European Union (1973 and 1986 respectively) and will continue long after Brexit. While the nature of the continued relationship will at least in part be determined by the trade agreements to be negotiated between the UK and the EU, the immediate concern for many – especially many British homeowners in Spain – is how they as citizens will be affected in terms of their residency, labour, tax and healthcare rights. Currency calculations based on exchange rates prevailing 30th December 2016. 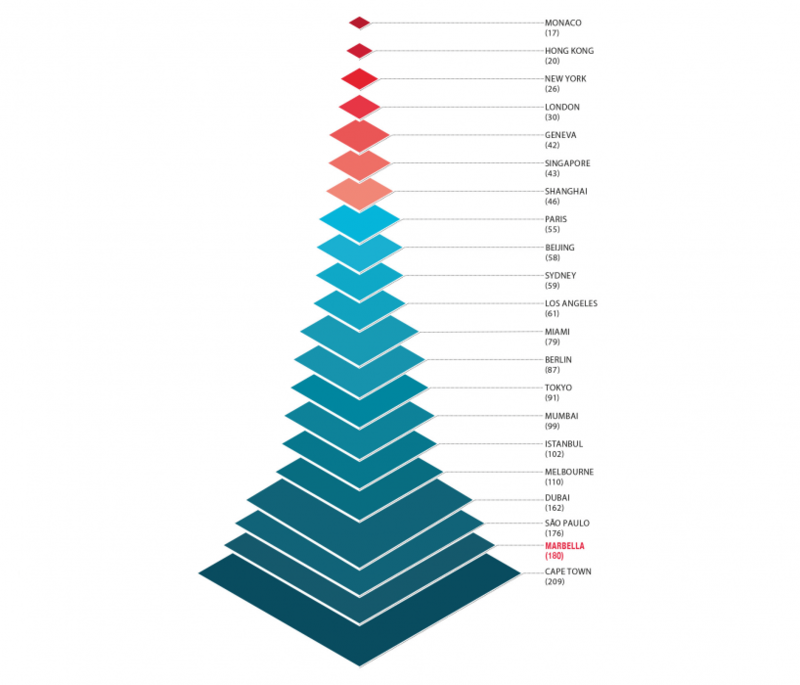 Price ranges for Hong Kong, Beijing and Shangai are for properties considered ‘super prime’. Price calculations for Hong Kong are based on apartments and for Marbella on apartments located in prime areas. Where the top locations above achieve stratospheric square metre values of $40,000 – $60,000, Marbella averages out at around $5550/m2. However, leading urbanisations such as Puente Romano, Los Granados and Oasis de Banús in Rio Verde command close to $12,000/m2, putting them close to the world’s main urban centres, while the exclusive UNO at El Ancón Beach on the Golden Mile has all units pre-reserved at around $15,000/m2. This shows that while Marbella is not a densely built up urban centre, at the top end it is beginning to touch base with square metre prices seen in the world’s most expensive location. Source: Knight Frank Research.